I hit the 50,000 words mark this morning about 9 am! I am happy with the story overall. I am going to let the manuscript sit and start to revise in January. I will have to outline what I have and then move large pieces around but there is something magical now! I will be able to take a chapter at a time to my IRL writing group as well. BACK TO SHORT STORIES NOW! Please check out my professional development tools. I often use Todd Henry’s questions when I am coaching and when I am reflecting with fellow writers. Here are my answers for today. I am working on my novel in progress for NANOWRIMO (National Novel Writing Month). I am 45, 000 words in. I can see the finish line of 50,000 by Friday. It has been so much easier this year with the support of my Storyaday group of writers. I have been reading Kathy Fish’s flash fiction. I really would like to get into one of her flash fiction workshops. I will try when she offers it again. It fills up quickly. My husband and I watched a documentary about Bill Murray and how he starts random acts of fun. It was inspiring to keep myself open and available. My Storyaday writer group is inspiring me. Two Writing Teachers is always inspiring for teacher blogs and prose. Where do I need prodding? Right now, I don’t need any external motivation. I am internally motivated for the moment. There is nothing like an unexpected snow day! It started raining last night about 6 pm and then in the wee hours of the morning, it turned to snow. The wind was upwards of 27 mph too which woke me up at 2:30 a.m. The north wind can be vicious! I had last week off for the Thanksgiving holiday so this has added to my vacation. I have already written this morning and plan to do some more. I have about 7,000 words left to reach my 50,000 for my novel. Hopefully, I will have some time to read today too. There is something magical about a day where you cannot leave the house. I do not mind being snowed in at all. On my run yesterday (in 47-degree weather by the way) I thought about a writing prompt challenge I am considering to embark on with the blog. It is still in the idea phase but I will do some thinking about that project today as well! What do I value most? Several years ago the actions of my life did not align with what I said my values were. This was also a time I felt I was always waiting. Waiting for the next thing. I appreciate the anticipation which scientifically add to the happiness of an event but this was not the spirit in which these thought patterns were emerging. This idea and quote inspired an idea for a short story today. It also reminds me of the idea that if you pray for rain do not be mad when it rains and ruins your outdoor plans. There is always one more thing and I cannot let it consume me. Yesterday was Black Friday and it is the reflection about what is really wrong with our country. Materialism is such a bold overtone in our society we have holiday to represent it. People will spend money today they do not have on things they think they need all in the name of a sale which is actually a mind trick of advertising and marketing. I try not to get sucked into it. For so long there was no money at all to spend so I am out of the habit of casual shopping. There will be holiday presents purchased of course but they will be somewhat mindful and fun both. I appreciate and am thankful that I can now go to the grocery store and not have to look at every price to make sure that I have enough in the account my stomach lurching as the total climbs higher. I appreciate the time I have at home with all my kids and my husband. I truly was in the moment yesterday for Thanksgiving and it felt like a real holiday to me. For the past several years there has been so much turmoil that it did not feel like the holidays. It was more of a dread than a happiness. There were moments of course but yesterday it felt true. The meal was great, the food turned out almost perfect but all delicious. Our corn bake took an extra long time to cook for some reason. I am not wishing forward or back at this point. I do some planning for scheduling of course but I am not overwhelmed by what needs to happen on a daily basis anymore. I value being home. I value being with the people that I love. I value taking care of myself and my body. Today was filled with holiday baking and cooking. We made apple slices for tomorrow’s dessert and also halupki which our oldest son requested. The house smelled amazing! The anticipation for the dinner tomorrow is high! What are you looking forward to eating this week whether you celebrate Thanksgiving or not!? I am thankfully off this week from work. The days are for rest, reading, fun, and writing. Last weekend, the family played homemade Jeopardy and Pictionary. The children even made questions to test the parents knowledge of our children. We rocked it of course! This morning I watched Friends show bloopers and laughed harder than I have laughed in a long while. The laugh that feels like you are doing an ab workout. I am thankful for time and weather to allow me to run. I have logged 10 miles in two days. I forget how the runs fuel my creative mind. I thought of poem lines, new clubs for school, an ending for my novel, and other essay topics. I am thankful for my writing. I am to 35,000 words for my NANOWRIMO which is National Novel Writing Month. I am not just thankful this week. I am thankful every week. This week allows me to be extra thankful for what I have in my life. Five Minute Friday – the writing challenge where you set the timer for 5 minutes and use a word for a springboard and see what comes out! One. I am one, but I am not alone. The story I read last evening at writing group called One of One. It is a story about grief and facing the perceptions of others. It was the largest group for this writer organization that I have seen since I joined last summer. Starting at 2:25 p.m. today, I have ONE week of holiday break for Thanksgiving. I plan to read and write over this holiday in between bites of turkey, stuffing, corn bake, and pumpkin pie. I will spend the time with my family and am thrilled. In an 8th grade English class today, I’m reading for her program FIRST CHAPTER FRIDAY. The book is The Running Dream by Wendelin Van Draanen. I am also reading ONE poem from Mary Oliver, The Sun. The first snow descended yesterday as I drove home from work. The tiny flakes sprinkled my windshield and melted from the warmth of the car. It continued to happily come down throughout the evening. Dinner was pot roast and homemade bread which made for a perfect evening. This morning the roads are shiny reflecting the lights of the cars as they plug along. The blue sky was light just before the sun came all the way up. The grass looks like it has powdered sugar sprinkled on it. Winter makes me happy and the coziness it brings. As I pulled into the parking lot it rained leaves to remind me that we are still in fall, not yet winter. Let’s sit with our coffee in large comfy chairs. It snowed here this week but didn’t stick. I hope that as we sit here that it starts to spit a few flakes. If we were having coffee I would tell you that the progress on my novel seems slow but my word counts are fine. I am on track. I have to figure out a few things about the story though. If we were having coffee I would tell you I read the short story Dimension by Alice Munro. It had some disturbing parts and then ending was different than I expected. If we were having coffee I would tell you I read the short story Carpe Diem by Judi Walsh. You can read it here. What do you think of these two stories? Have you read anything good lately? 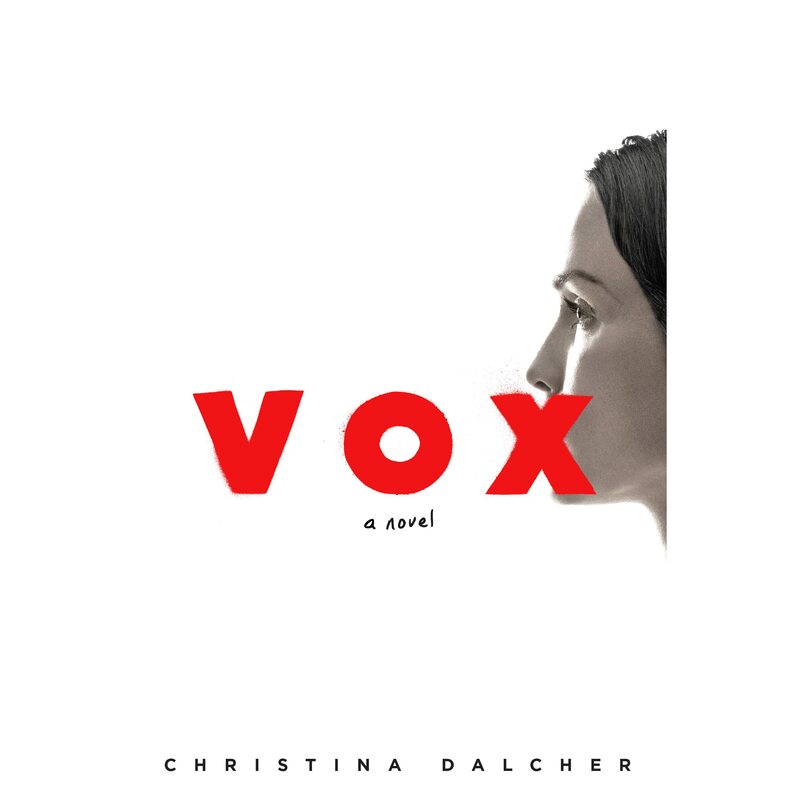 If we were having coffee, I would tell you I finished reading VOX by Christina Dalcher today. I kept thinking about what it would be like to only be allowed to say 100 words a day. I cannot imagine how many words I actually speak in a day. I am not sure I want to know. Sometimes there are days I would prefer to speak 100 words or be silent all day. How do you feel about it? If we were having coffee, I would tell you I worked out today finally. I had to go to the gym because it was too cold and windy to run outside. If we were having coffee, I would tell you I went to a writing class at the library yesterday. It was interesting. The funniest part was that 2 other ladies from my writers’ group that I regularly talk to were there too! When we originally signed up we were all on the waiting list. We didn’t want to tell others about it and then them not be able to get in. It was a nice surprise to see them! I hope your week went well! I am so glad we are able to catch up each week.